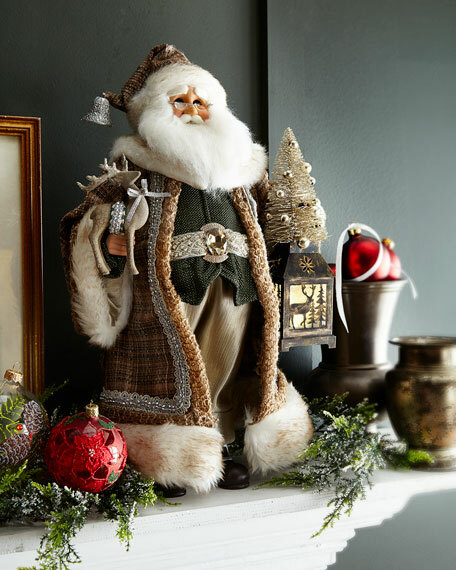 Santa figure holding lighted lantern. Poly-resin, glass, velvet, cotton, faux fur (polyester), and plastic. 11"W x 7"D x 19"T.